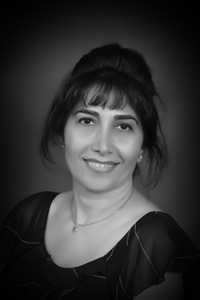 Dr. Changizi has been practicing dentistry for over 20 years. She has a wide range of experience in different aspects of dentistry. She believes in staying at the forefront of dental technology and techniques through advanced education and hands-on training. She realizes that many people are nervous about going to the dentist and is committed to easing every patient's fears and making them feel comfortable and relaxed in her office. Her emphasis on patient comfort as well as keeping up-to-date with the latest advancements in dentistry enable her to provide her patients with the best quality care in the field. She is dedicated to providing exceptional general, family and cosmetic dentistry. In her free time she enjoys reading a good book, swimming with her husband and son, as well as caring for her two small dogs. 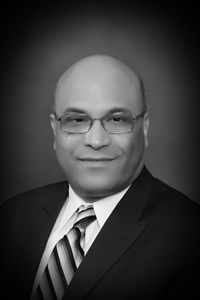 Dr. Ismail received his Doctor of Dental Surgery degree in May 1985, graduating with honors from School of Dentistry, Cairo University. He and his family moved to California in 1991, Where he passed his national and state board exams to practice dentistry in the united states. Dr Ismail has completed numerous courses in different aspects of general dentistry including a two year residency program in oral surgery and conscious sedation for minors. Serving the Fresno area for more than ten years, Dr. Ismail has the skill, expertise and training necessary to provide high quality, easy-care dental services that can really make a difference in his patients lives. Dr. Ismail knows that to give his patients the best care, He must be a dentist with more than just good technique.